“Diversity is the one true thing we all have in common. Celebrate it every day.”... Author Unknown Managing a Diverse Workforce will increase the attendee's cultural awareness, knowledge, and communication. This seminar aims to create a positive work environment by helping employees recognize and be tolerant of differences among co-workers. These differences include the following: •Generational •Cultural •Departmental •Unconscious Bias •Race •Gender •Religion •Other Attendees will also understand the benefits of having workplace diversity, whichnot only refers to the differences between employees, but also the acceptance and celebration of these differences at work. Who should attend: HR Managers, Recruiters, Office / Personnel Managers, Administrative Assistants, Small Business Owners, Marketing / Sales / Customer Service Professionals and anyone who works in a diverse office environment. This is a FREE event. Light lunch will be provided to the attendees. 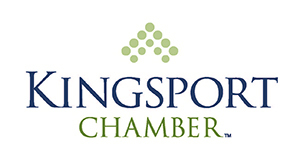 Speaker(s):Daniel D. Ragan, Partner — Edwards Ragan and Associates, LLC Co-Sponsor(s): The Kingsport Office of Small Business Development & Entrepreneurship (KOSBE), Kingsport Chamber, Edwards Ragan and Associates, LLC The cooperative agreement between KOSBE and East Tennessee State University is partially funded by the U.S. Small Business Administration (SBA). SBA’s funding is not an endorsement of any products, opinions or services. SBA funded programs are extended to the public on a non-discriminatory basis. Additional funding is provided by the Tennessee Board of Regents and the state of Tennessee. Reasonable accommodations for persons with disabilities will be made if requested at least two weeks in advance. Please contact Aditi Bhave — 423.392.8825; abhave@tsbdc.org; 400 Clinchfield Street, Suite 100, Kingsport, Tennessee 37660.